The five killed were skiing off-piste in a valley south of Innsbruck in western Austria. FIVE SKIERS FROM the Czech Republic were killed yesterday in an avalanche in the Austrian Alps that also engulfed 17 other people, police said. Two of the skiers were injured, but not critically, they added. 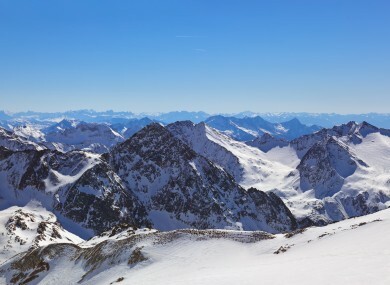 The five fatalities, men and women, belonged to two groups of off-piste skiers in a valley south of Innsbruck in western Austria. Around midday, a third group of skiers had raised the alert about the avalanche at an altitude of some 2,000 metres. Some skiers had managed to pull themselves out of the snowslide, police said. Yesterday also saw a number of other avalanches - the result of instability caused by recent snowfall and a slight thaw – in which skiers had to be rescued in Austria’s Tyrol state, famed for its ski resorts and winter sports. The deaths follow a string of fatal snowslides in the French Alps this season. In the most recent, five soldiers from the French Foreign Legion died near the resort of Valfrejus on January 18 with a sixth dying days later in hospital. Two French teenagers were also killed on January 13 when a teacher took a group of students onto a closed skiing piste at the Deux-Alpes resort. Seriously injured himself, he was later charged with involuntary manslaughter. A Ukrainian tourist died in the same avalanche. Email “Five skiers killed, 17 others engulfed in snow as avalanche hits Austrian Alps”. Feedback on “Five skiers killed, 17 others engulfed in snow as avalanche hits Austrian Alps”.